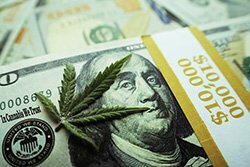 With legal marijuana sales in North America expected to climb from $6.7 billion in 2016 to over $20 billion by 2020, the prices of some marijuana penny stocks will skyrocket right along with the 198% increase in sales. Marijuana penny stocks are still speculative investments, and only some will see their share prices jump thanks to the industry's growth. But we want to make sure Money Morning readers are as informed as possible about what's going on in the pot penny stocks sector. And we've found three marijuana companies whose share prices could rise as they buy out other cannabis companies. While we aren't recommending you buy these penny stocks, their acquisitions make them worth watching this September. 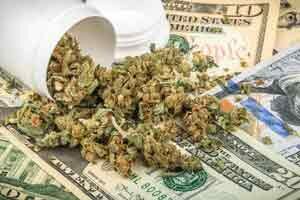 Marijuana Penny Stock to Watch No. 3: MassRoots Inc. According to an Aug. 23, 2017, Forbes report, MassRoots Inc. (OTCMKTS: MSRT), a social media company for cannabis users, acquired CannaRegs Inc. in a $12 million deal. CannaRegs is a tech company that tracks changes in cannabis rules and regulations. Cannabis companies can also sign up for CannaRegs' subscription service to stay up to date on any changes in marijuana laws. CannaRegs is debt-free and has $450,000 in annual revenue thanks to its monthly subscription service. According to the Aug. 23 Forbes report, MassRoots CEO Isaac Dietrich said CannaRegs will "significantly increase" MassRoots' monthly recurring revenue through paid subscribers. Recreational marijuana can be sold legally in California on Jan. 1, 2018. With only five months to prepare, these companies need a service like CannaRegs to stay informed of any changes or updates in the laws. In the last 52 weeks, the MSRT stock price has traded between $0.38 and $1.18 per share. MSRT is now trading at $0.48 per share. As MassRoots updates us on its new clients and the revenue they bring after its latest acquisition, we will keep Money Morning readers in the loop through our free Profit Alerts service. Where are the other 2?? OWCP! Big news is coming in September, as they've been in "on-going negotiations" for their Topical Cream, which was announced as Patent Pending and Market Ready in early July. Multiple Myeloma study should finish up by end of September too. They also filed for a Patent on that stuff too back in June. Would like the names of the 3 marijuana penny stocks. Am signing up for the first time. I too am interested in the names of the three M. penny stocks. How do I set up an investment account? Look online for a broker, money morning has a broker suggestion page, look at Ally Invest, self trade is lower cost to get in, understand that pennys are OTC and will cost more to trade than the advertised rate! Who ever you choose call them and tell them what you will be trading before you fund an account! I also would like to know how to set up an investment account. Ok. How do i by marijuana stocks. For make same profit o a future. 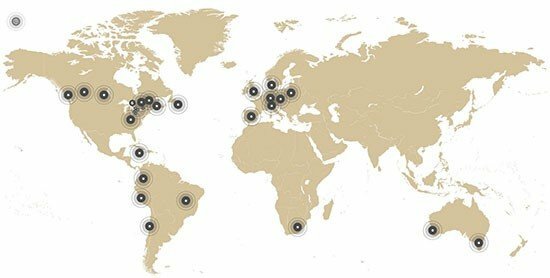 Where can i by does marijuana stocks.